The Canadian Verify API provides you with the tools to implement real-time Canadian postal address verification web service for your website, intranet or other browser based applications, such as CRM systems, association management software and more. Using the same API, you can perform POCAD batch address lookup for Canada Post mailings and PCAD single address lookup. 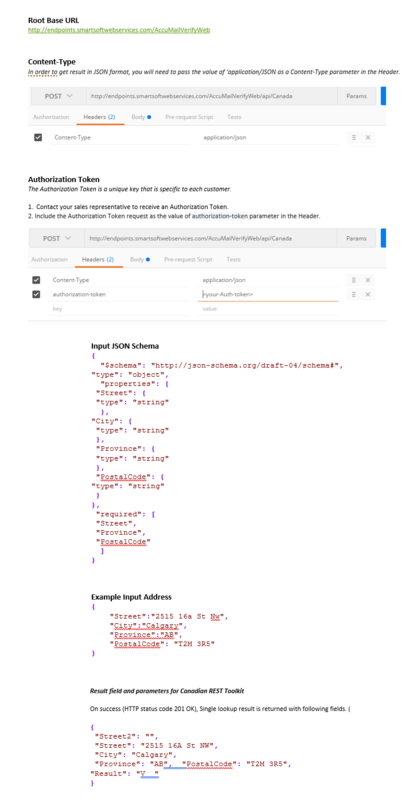 The Canadian Verify API ensures each address entered is validated before it enters your database. Addresses are standardized and any missing elements such as Postal Codes are added to deliverable addresses.